Thomas Crapper’s contributions to modern hygiene and sanitation make him a significant and remarkable figure in history. 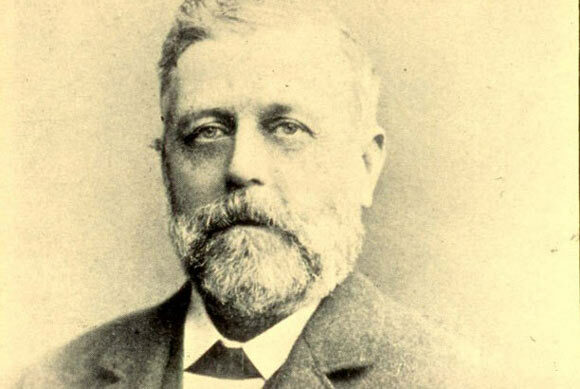 Born in Yorkshire 1836, he was the founder of Thomas Crapper & Co in London. He is sometimes falsely credited with having invented the modern flushing toilet but that had already been invented in the 16th century by an author named Sir John Harington. He developed a working model in the palace of Queen Elizabeth I, who was his godmother. Crapper was the son of a steamboat captain living in Yorkshire and became an apprentice to a master plumber at the age of 14. By the age of 25 he had established his own plumbing shop in London. He was granted a total of nine patents during his lifetime for making improvements to drainage, inventing different types of water closets, making manhole covers and developing pipe joints. None of Thomas Crapper’s patents was ever rejected; all his inventions were successfully patented and certified. After his apprenticeship, Thomas Crapper worked as a journeyman plumber for three years and then became a sanitary engineer by setting up his own foundry and workshops. He owned and operated three plumbing shops in his lifetime. The most famous of these was the shop in King’s Road, London. Once Crapper retired from work in 1904, these were sold to his partners who continued to run the business under the same name but eventually closed down for business in 1966. Thomas Crapper served as the royal sanitary engineer for many noble families included providing toilets, plumbing and supplies to Edward VII and George V but he was never actually knighted himself. However, the title of “Sir” is sometimes incorrectly attached to his name. It is sometimes believed that the use of the term “crapper” for toilet is due to Crapper. Some sources claim that US soldiers during World War I saw the word “Crapper” imprinted on toilets and believed that this was the name for toilet. It is also believed that this is also how the term “crap” came to be associated with bodily waste. However, other sources suggest that the term “crap” traces its origin from the Dutch word “krappen” which means to separate or cast off and the French word “crappe” which means unwanted or waste material. Another misconception held regarding Thomas Crapper is that he invented the valve-less toilet, which was a remarkable advancement in plumbing. However, this invention was actually patented by Joseph Adamson in 1853, almost a decade before Crapper had even established his business. Thomas Crapper holds no patents related to this mechanism but his nephew George Crapper was awarded one for making improvements in siphonic flushing tanks. It is notable that magazines and newspapers credited him as being a great salesman, businessman and manufacturer but not as an inventor. Some people greatly discredit Thomas Crapper’s services by alluding to all his contributions as fabrications. One of the reasons for this is a book called “Flushed with Pride: The Story of Thomas Crapper” published in 1969 by Wallace Reyburn. This book is written as Thomas Crapper’s biography but because the author’s other works include biographies of fictional characters, people sometimes believe that Reyburn invented Thomas Crapper’s character and the man did not actually exist. However, we know that even though Thomas Crapper did not invent the toilet, he did make remarkable contributions to the field of plumbing and his name is still imprinted on manhole covers in London.